This ‘before’ is one of my very first photos for my site. I have learned SO much since then. However, even though the image has improved, the fabulous taste remains the same! 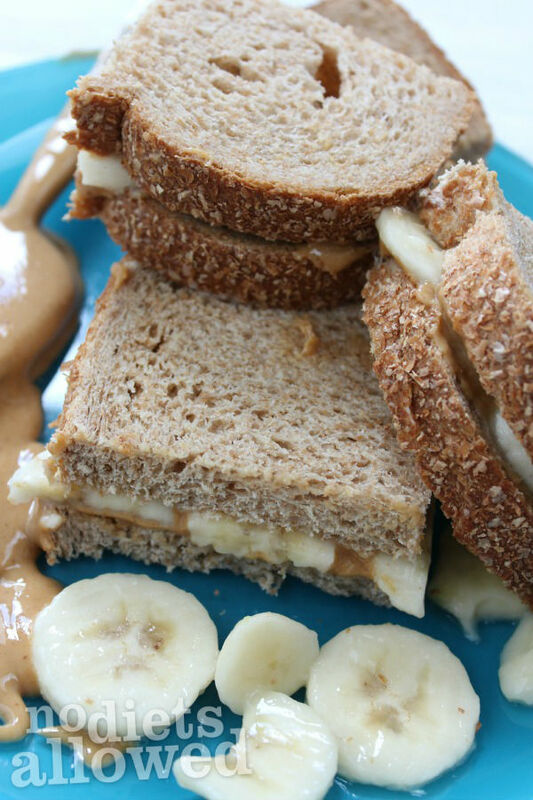 I can’t get enough of Peanut Butter and Banana Sandwiches. Oh, The classic PB&J has been around since the beginning of time. 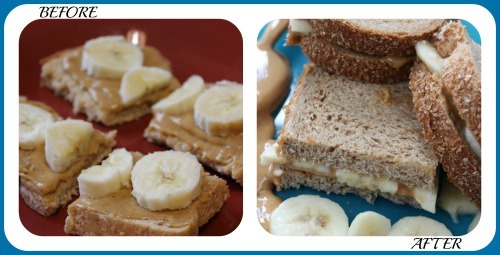 I know I’m not the first to subtract the jelly and add banana slices transforming it into the PB&Banana. HOWEVER, here are a few essential tips for making it healthier. First, the bread. Either make homemade bread or purchase bread after READING THE INGREDIENTS! The ingredients on the bread I purchase literally say 100% stone ground whole wheat, water, honey, salt, and yeast. What more do you need to make bread? Second, the peanut butter. Most grocery stores have an option to have peanuts freshly ground into peanut butter OR purchase peanut butter where the only ingredient is peanuts. Don’t forget about the healthy substitute of almond butter. Same options just mentioned about peanut butter apply to almond butter. Third, slice a banana on top! Easy enough and can either be enjoyed for lunch or an after-school snack.